The Savannah Notebook with Pen is not only useful but is also attractive. It features an 80 page lined 5" x 7" notebook with an elastic pen loop, a matching pen, and a bookmark. The Savannah Notebook with Pen is not only useful but is also attractive. 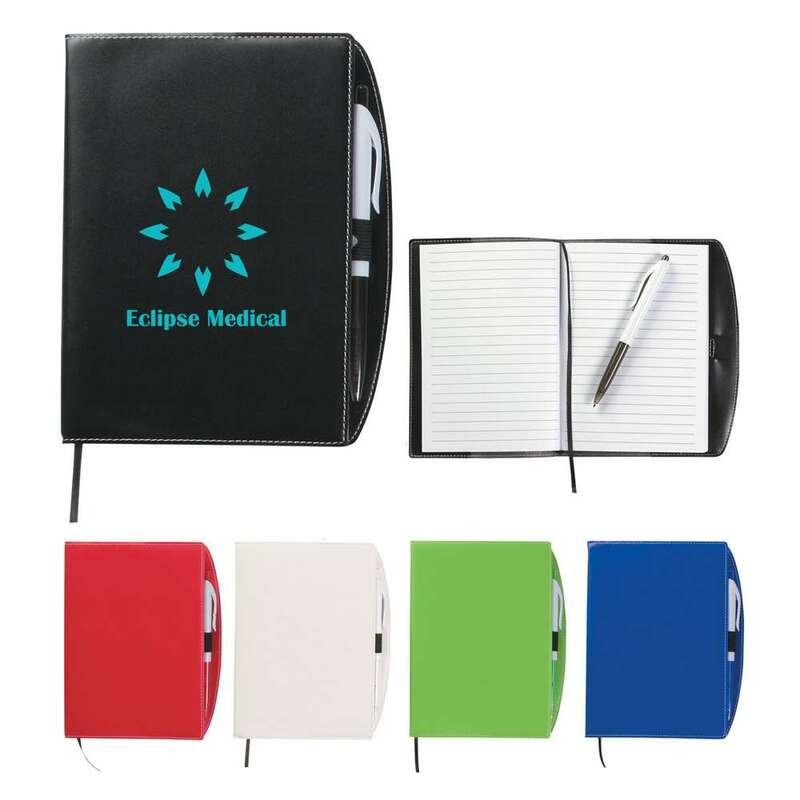 It features an 80 page lined 5" x 7" notebook with an elastic pen loop, a matching pen, and a bookmark. It is available in black, blue, and red colors. It has an elastic pen loop and two additional pockets. Imprint your company’s logo on the front of the notebook, to increase brand awareness. Give away this useful, stylish, and affordable product at offices, seminars, and conventions, and add a fresh look to your brand’s image.